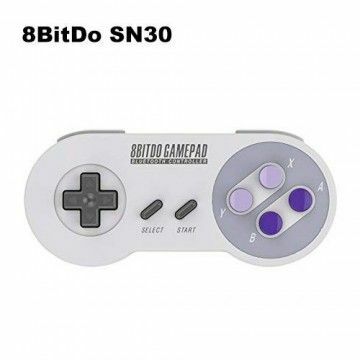 The design of the USB SNES controller is reminiscent of the classic Super Nintendo controller. 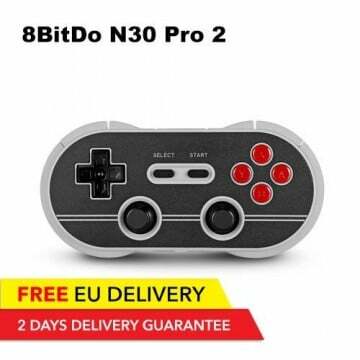 Retro replica with the letters X, Y, A and B, as well worked two shoulder buttons. 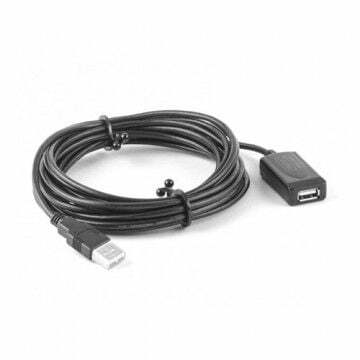 The 1.5 meter USB cable is easy to connect and allows latency-free play. Everything was better before! True, this saying from Grandfather's Phrases Box is more than outdated and only rarely applies. In gaming, however, the phrase for retro-disciples hits the mark. 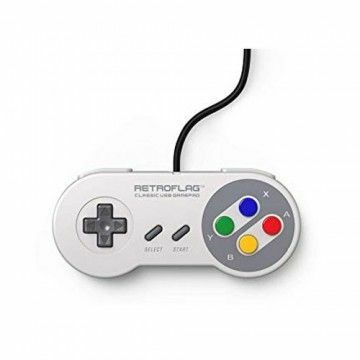 With the USB SNES controller, the good old gaming time is transported to the modern - and without losing its supreme charm. 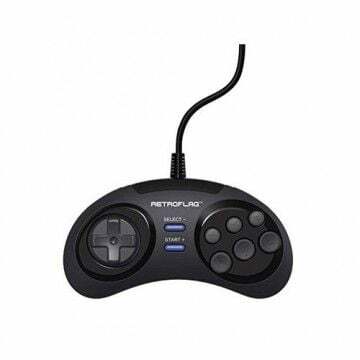 Despite its retro charm, the controller does not abandon modern standards and offers the player the highest possible level of comfort. 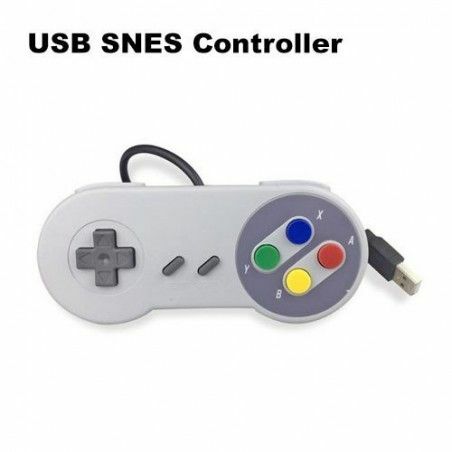 The USB SNES controller has the classic cross button, the narrow start and select buttons, to the four colored buttons on the right side of the controller, which are also titled in the retro replica with the letters X, Y, A and B. Away from the design, the workmanship is absolutely successful. 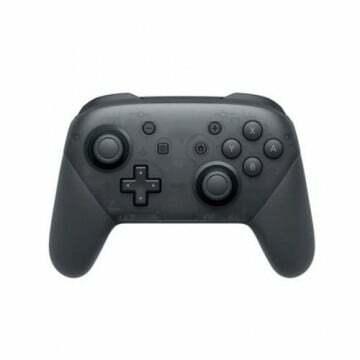 The two shoulder buttons have a perfect pressure point and are easily accessible. 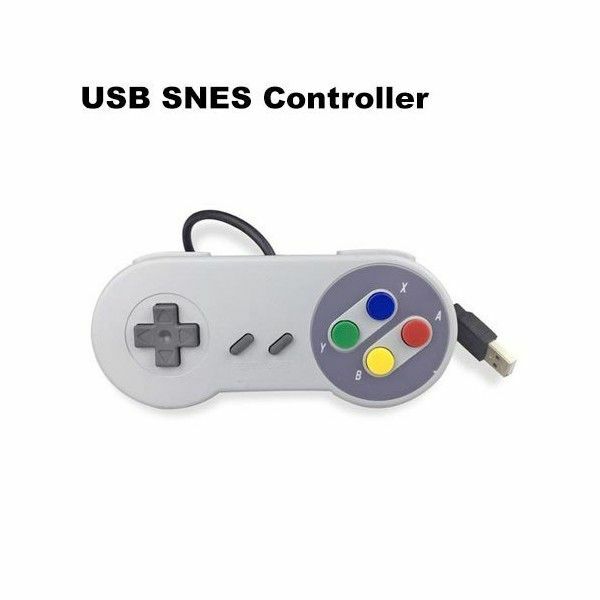 Unlike the controllers of the NES mini or SNES mini, the USB SNES controller can be used not only for one platform, but for a variety of applications. The controller can be used for Windows, Mac, Android, iOS, Raspberry Pi or for the RES2k. Zocken wie vor 20 Jahren Ich habe den Controller zur RES2K dazu gekauft und fühle mich wie in der Zeit zurückgeschickt. :D Er funktioniert sehr gut und lässt mein Retro Herz höher schlagen. 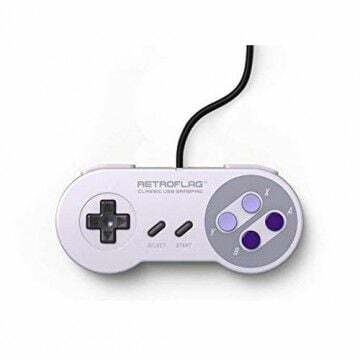 Notify me when the USB SNES Controller Standard drops in price.